No sooner did my Disney Tsum Tsum obsession end than my Pop! Vinyl addiction start. Funko Pop! Vinyls are a series of figurines that bring to life some of the most famous fictional characters from Star Wars to The Simpsons. With a wishlist as long as my arm I looked into ways to start my collection and discovered Pop In a Box. Pop In a Box is a subscription service that sends out mystery pops every month. You can choose to receive anywhere from 1 pop to 12 pops a month with price plans ranging from £8.49 to £94.99 (plus postage and packaging), which is generally cheaper than purchasing pops from Amazon or in store. To subscribe you simply create an account, select your subscription plan and enter your billing details to set up a direct debit (the subscription works on a monthly basis and can be cancelled at any time). From there you can start to customise your plan and rate Pop Vinyls, Dorbz, Mopeez, Dorbz Ridez and Vinyl Idolz. If you thumbs up a pop it is added to your wishlist, if you thumbs down a pop it is sent to the Pop Grave and will never be sent to you (this can be undone if you change your mind). To avoid receiving duplicate pops simply click the plus button to add it to your collection. You can rate individual pops or rate whole collections. For instance, if you don't want to receive any of the Harry Potter pops swipe down that whole collection. However you can then go in and rate individual pops in that collection, so if you wanted just Luna Lovegood you can add her to your wishlist and the rest of the Harry Potter pops will remain in the Pop Grave. The rating process can be quite lengthy depending on how many pops you do and don't want. The direct debit is usually taken out on the 1st of the month and you receive your pop up to 22 days after that. I usually receive mine within 10 days which isn't too bad but obviously could be better. The pops arrive bubble wrapped in a plain cardboard box, and there isn't really any elaborate packaging (no box design or inserts - nothing!). So far in my collection I have BB-8 from Star Wars and Bing Bong from Inside Out both of which I love! They are both completely adorable and I'm really excited to see who I receive next month. Overall I think Pop in a Box is an excellent idea and a great way to start your collection. Having a mystery pop to look forward to each month is really exciting especially if you love surprises, like I do. I do wish the rating process was a lot quicker, however with so many pops available I'm not sure if it's possible to make it quicker. It would be nice if they spruced up the packaging a bit but overall I'm happy with the service I've received and will be keeping my subscription. To receive 20% off your first month's subscription click HERE and sign up! Do you collect Pop! Vinyls? Who is on your wishlist? 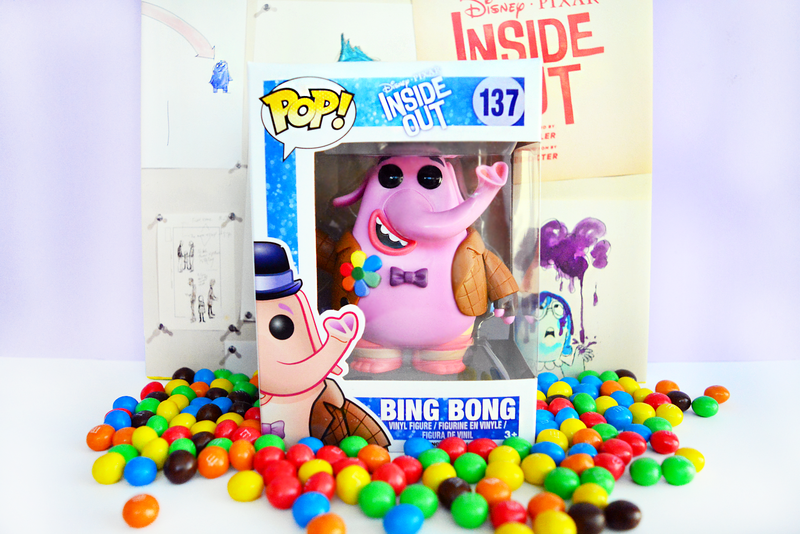 That's the beauty of Pop in a Box - you only receive the pops you are interested in! My wishlist is actually pretty small considering how many pop collections there are. It mainly consists of Disney, Once Upon a Time and My Little Pony characters haha! The Meeko pop looks absolutely adorable!! I was thinking of trying out both Loot Crate and Nerd Block but the boxes look a little hit and miss. I might give it a whirl one month! Yeah I admit creating your wish list can be a bit tedious (especially if you're like me and you want less Pop's than you don't want) but I don't really know how else they would be able to make it quicker. I think if you can get past that then it's a great idea especially if you're well into building your collection.